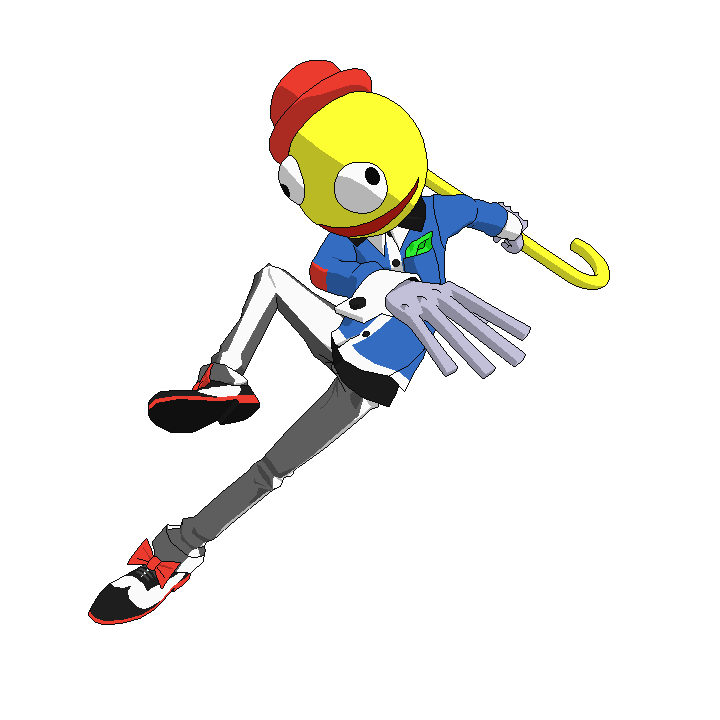 Lethal League is a competitive projectile fighting game where the goal is to launch a ball into the face of your opponent. 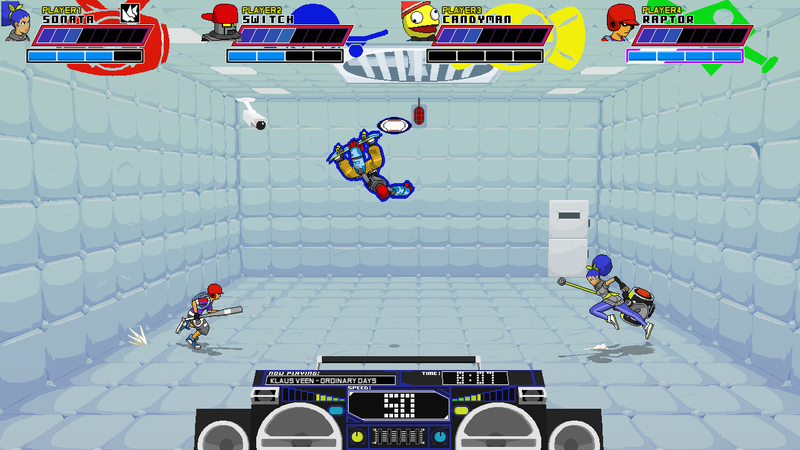 Lethal League first gained notoriety when it was featured as the grand final ‘Mystery Game’ on UFGT9. 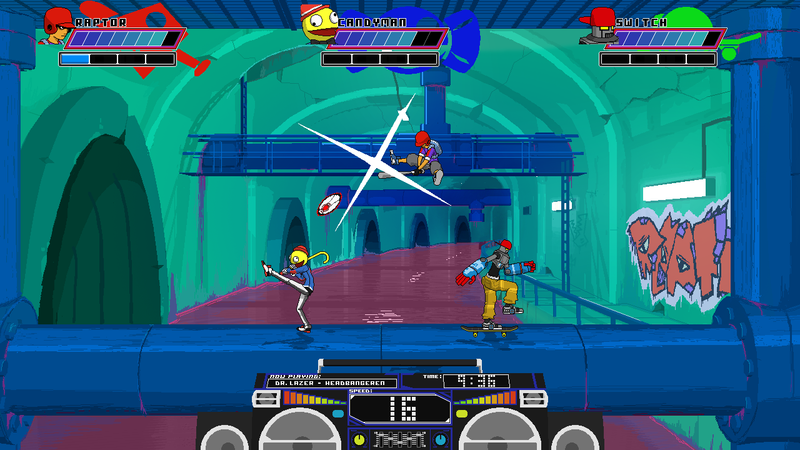 It quickly became clear that the extreme nature of the game, mixed with the stylized street visuals and chip-hop music hit a sweet spot with the crowd. 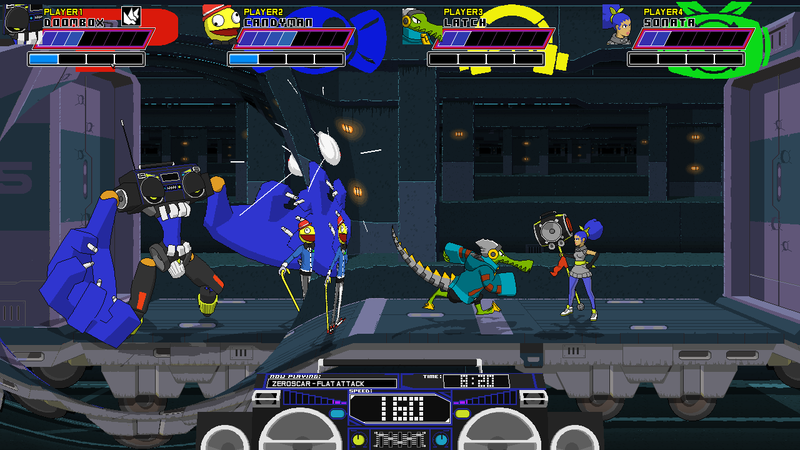 Team Reptile began with making the customizable fighting/beat ‘em up game Megabyte Punch in late 2011. 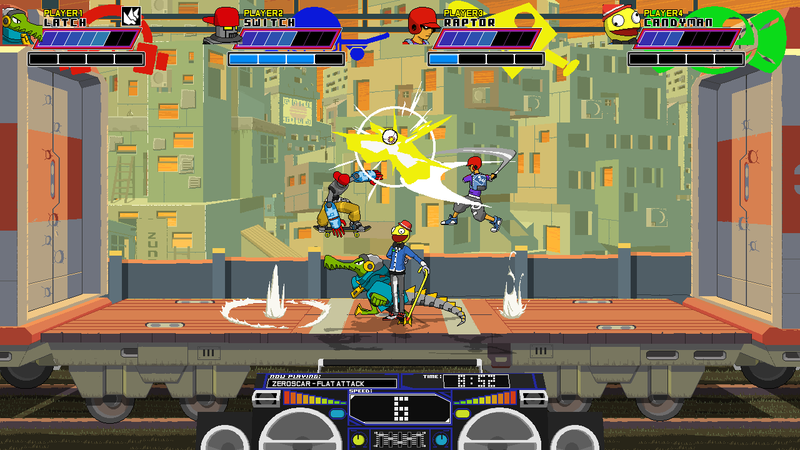 The early versions of the game received a lot of praise, which, coupled with the fact that hardly any game developer was making games quite the way Team Reptile saw them resulted in the formation of the company. 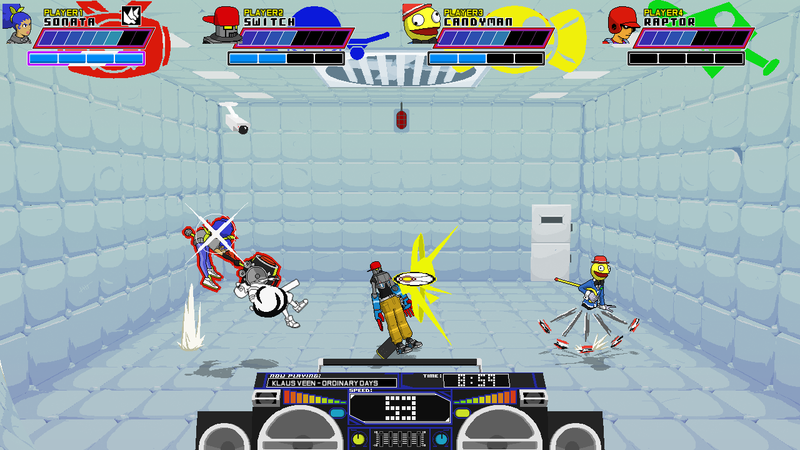 August 6 2013, Megabyte Punch was released and received some great reviews and overall responses. 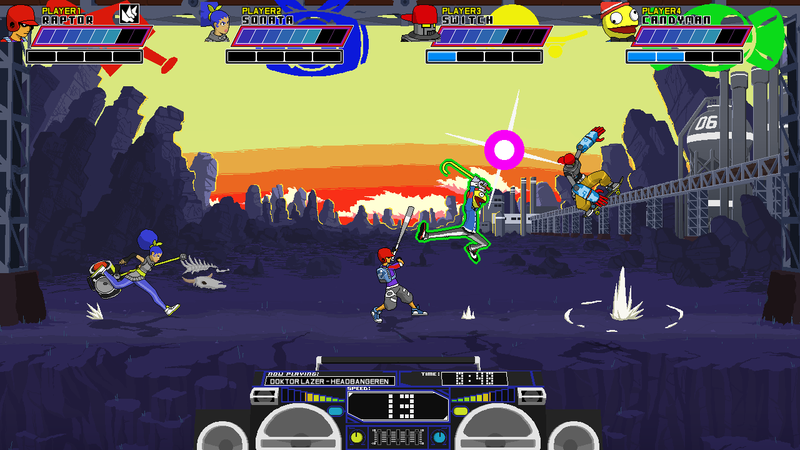 A month later Megabyte Punch was in one of the earlier Greenlight batches and was released on Steam in October 2013. 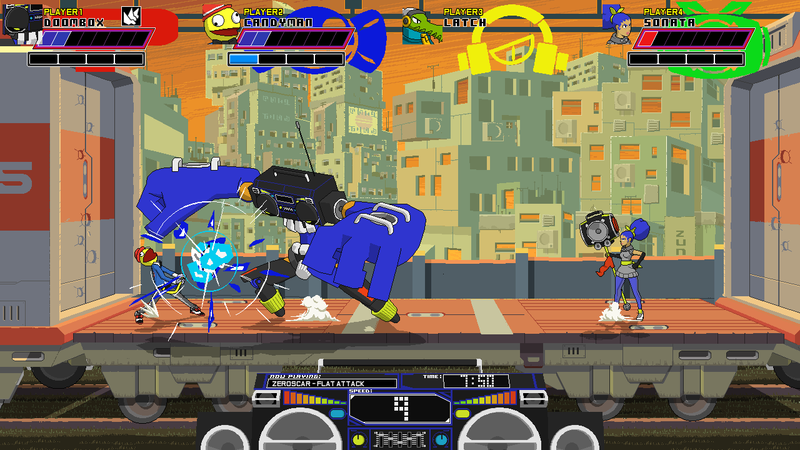 In 2013 Team Reptile also showed the world a new game called Lethal League. 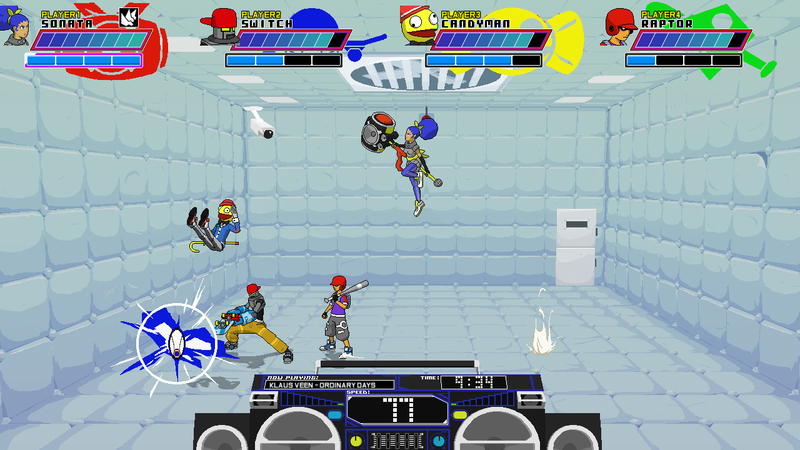 The game was embraced by the fighting game community which led us into developing a full version of Lethal League for PC. 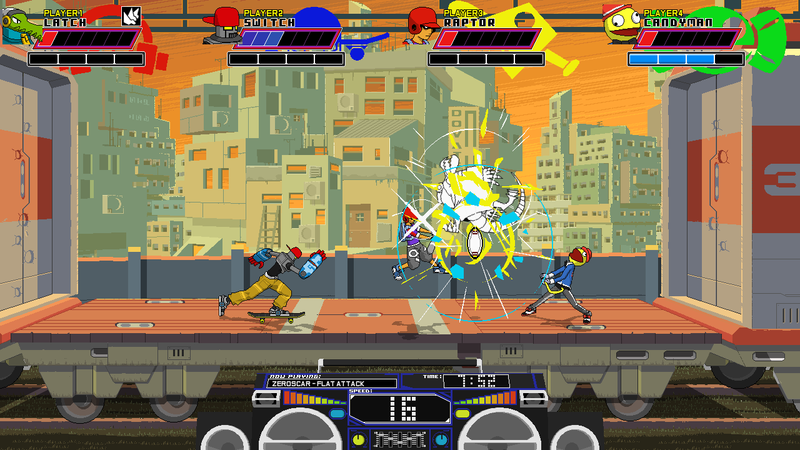 Lethal League has been featured on major Esports events like EVO, UFGT, SGC and game events like Gamescom and Indiecade. 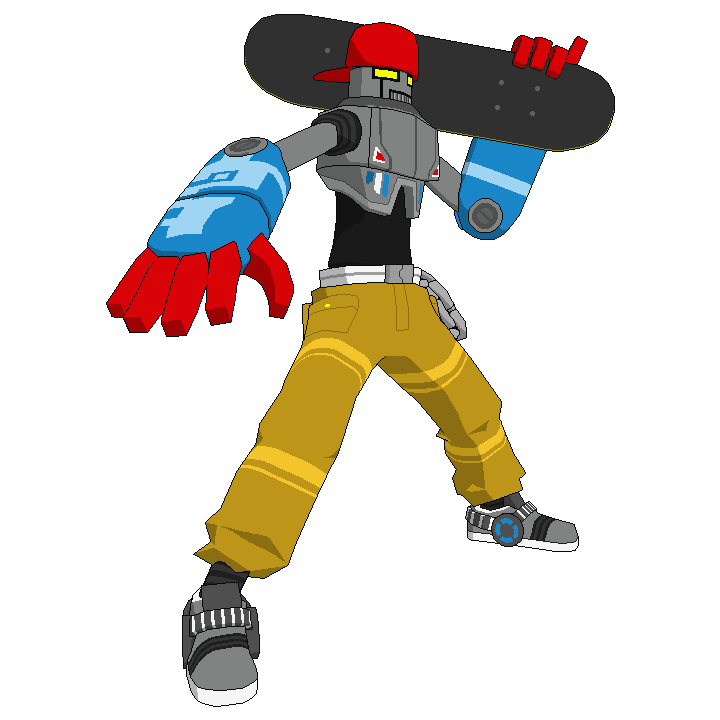 Lethal League was also positively reviewed by YouTube rockstars like TotalBiscuit, PewDiePie, Cryaotic, Achievement Hunter and dozens more. Banging beats by various artists.
" 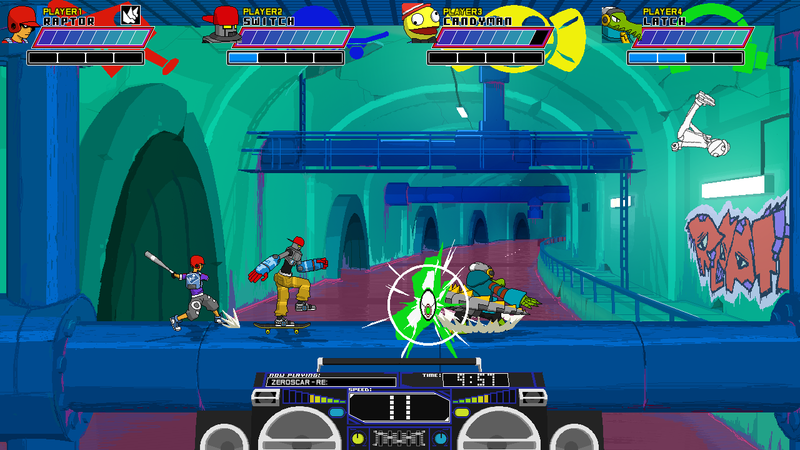 SGC Iron-Man of Gaming Final Mystery Game"
"Grand Final Mystery game at the Ultimate Fighting Game Tournament 9." 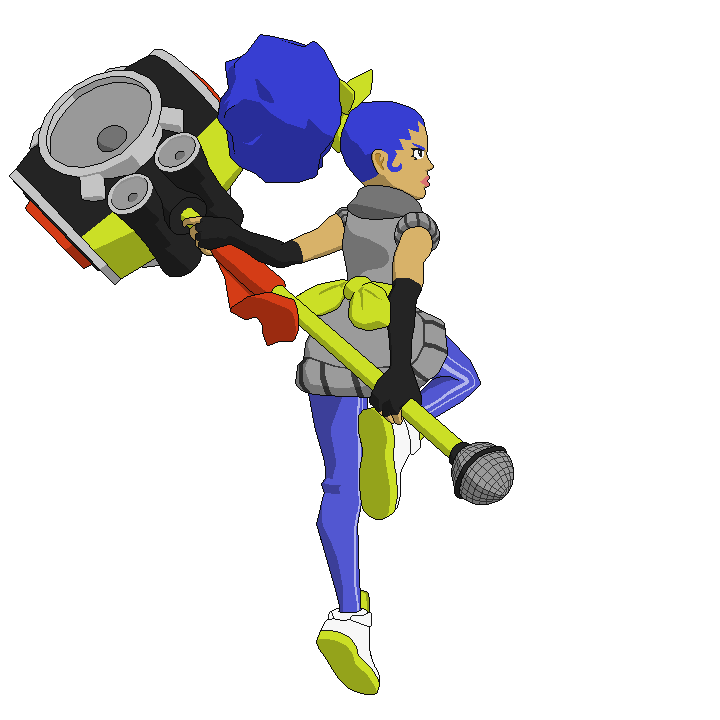 "Game Informer Super Replay Showdown 2014 Grand Final game." 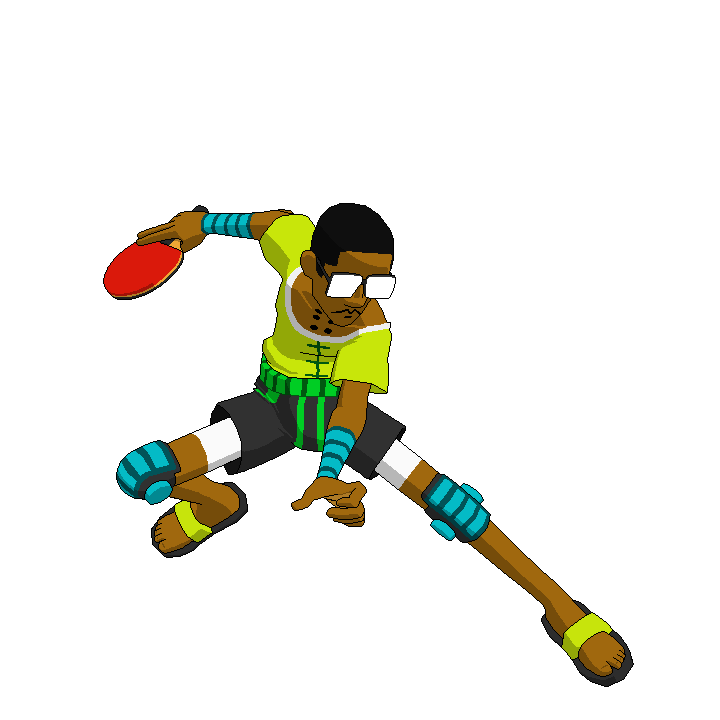 "Official selection for the Indieprize Showcase." 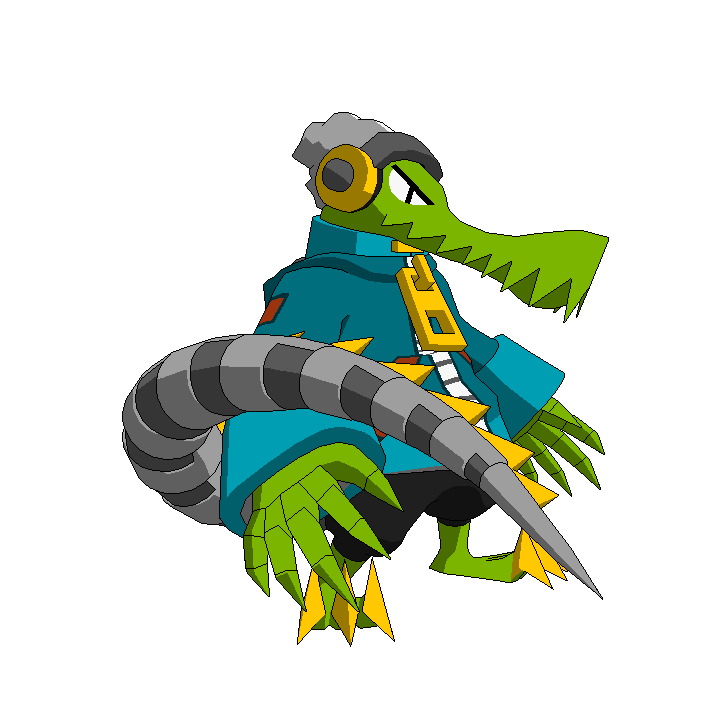 "Team Reptile really hit it out of the park with this one, 9/10"
"Reptile has come out of the batter's box strong with this one." 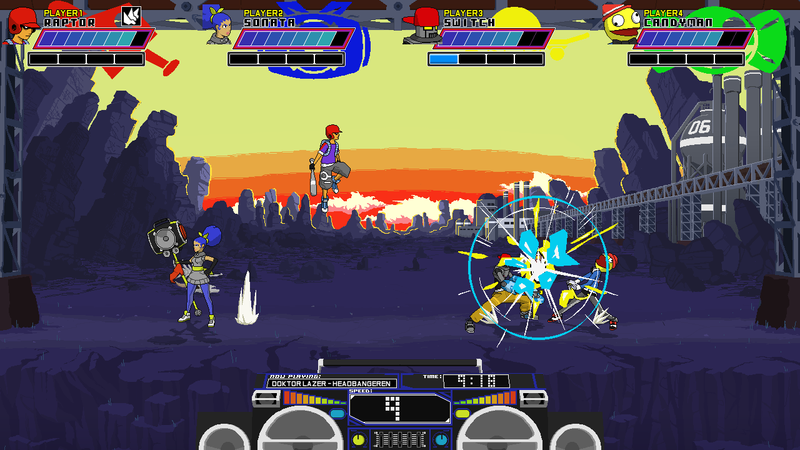 "An innovative game with fast-paced action where reaction times mean more than memorizing ten-button combinations and enough practice to turn your wrist into dust." "It’s like a genius piece of graffiti that you remember among a sea of other scribbles."